Dr. Farzeen Tanwir is a medical professional with postdoctoral research experience coupled with experience in different fields of general dentistry, dental academics and dental research. She did BDS from Karachi University, Pakistan; Ph.D. from Sweden and C. Orth from USA. 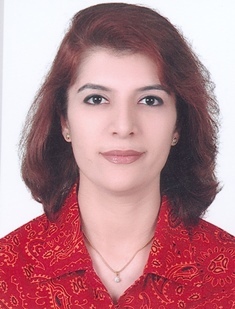 Presently she is a Post ddoctoral fellow at University of Toronto (matrix dynamics group) and Head of the department of Periodontology, Ziauddin University, Pakistan and Director of Post Graduate studies(adjunct Faculty). She was Principal Investigator in many community based projects and published research articles in the leading dental journals of dentistry. Dr. Tanwir is member of Editorial board of reviewers for professional, International and National journal; visiting faculty of National and International University and approved supervisor at Karolinska Institutet- Stockholm, Sweden. She was nominated for IDB Prize for “Promoting Women in Science”; nominated for 61st meeting of Nobel Laureates in Lindau (Germany) and was awarded with Best University Teachers Award by Higher Education Commission.